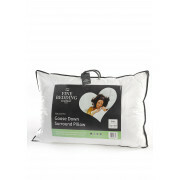 This Goose Down Surround pillow from The Fine Bedding Company offers support and softness in one naturally elegant pillow. 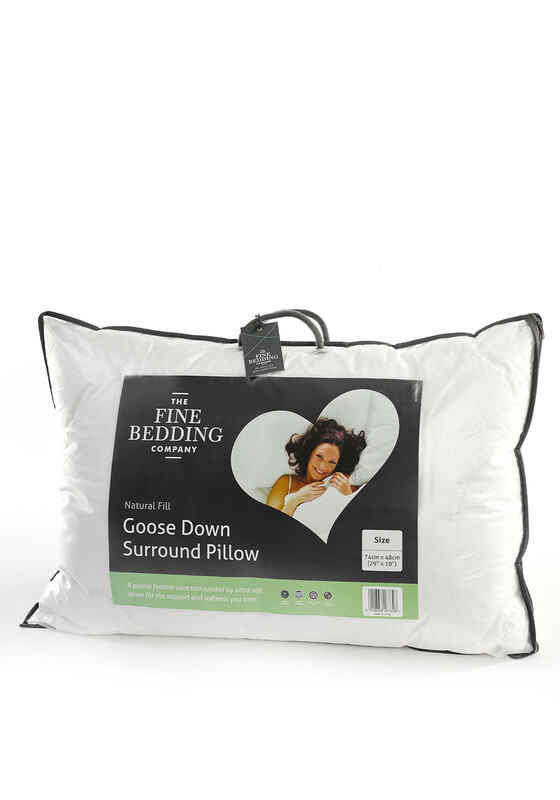 The plump 85% feather/15% down inner core provides medium support, which is combined with the softness of a luxurious 60% goose down/ 40% goose feather outer surround for extra cushioning luxury. The cover consists of 100% cotton.